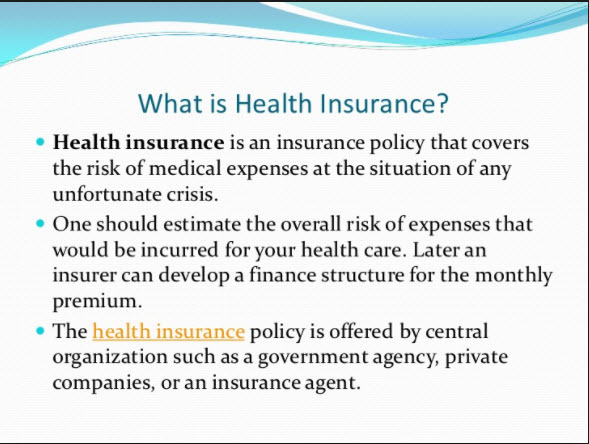 Health Insurance: Do You Know The Basic Terminologies And Rules? Health insurance terminology and rules are important for you to know. What’s the difference between a co-pay and a deductible? Do you know? What do you do if your health insurance claim is denied? Do you understand all of the terminology so that you don’t get messed over? A premium is the amount that you or your employer pay for your health insurance, generally once a month. A deductible is what you must pay for your health care before your insurance pays its part. Most plans have deductibles, which start over every January. For example, if your plan has a $1,000 deductible and you have surgery that costs $5,000, you’ll pay $1,000 before your insurer helps you cover your bills. A copay is a fixed amount, often $15 or $20, that you pay for covered services like a prescription or a doctor’s visit. Some health plans also apply coinsurance to certain services. With it, you pay a percentage of the total cost of care. For example, if you have a 20% coinsurance, and your doctor’s appointment costs $300, you’d pay $60. That’s if you’ve met your deductible. Your out-of-pocket maximum is the most you have to pay each year toward your medical services or prescription drugs before your insurance pays for all your care. This amount does not include what you pay in premiums. The Affordable Care Act limits the out-of-pocket maximums. In 2016, for one adult, it can be no more than $6,800, and for a family, it can be no more than $13,700. Health Insurance: What is A Pre-Authorization? If your doctor says you need a test or procedure, your health plan may have to give permission if it’s to be covered by insurance. Giving that permission is called preauthorization. Your plan’s overview of benefits lists what care needs to be preauthorized. If you don’t get it when it’s required, your health plan won’t pay its part of the costs. After you’ve visited your doctor or had a procedure in a hospital, you may receive an explanation of benefits form telling you how much of the charges your insurance will pay. The EOB isn’t a bill itself, but it can tell you what your doctor may charge you. Look for the words “due from patient” to see how much you may owe after your insurance pays. Not all plans provide EOBs. Health Insurance: What Is A HMO? An HMO, or health maintenance organization, has its own network of doctors, hospitals, specialists, and pharmacists that its members are required to use. You can go out of network, but if you do, you will probably have to pay 100% of the cost of your care unless it’s an emergency. Health Insurance: What Is A Health Insurance Marketplace? Each state must either have a health insurance Marketplace, also called an Exchange, or use the federal one. These sites are for people who don’t have insurance from an employer or through Medicare, Medicaid, the VA, or TRICARE. You can use them to compare health plans. And you can find out if you qualify for a subsidy, which is money from the federal government to lower your insurance costs. Health Insurance: What Is Preventive Care? Under the health care reform law, many preventive care services now must be fully covered by health insurance. That means you don’t have a copay, owe coinsurance, or have to meet a deductible first. These services include annual physicals, screening tests like colonoscopies, Pap smears, and mammograms, as well as breastfeeding support and supplies. You may have to go to a provider in your network for it to be free, however. Health Insurance: When Does Your Health Insurance Run Out? Lifetime limits are now banned for all new health insurance policies. Insurance companies used to have annual limits and lifetime limits on how much they’d pay for your health care. For example, if you had $100,000 or more of treatment in 1 year, or more than $1 million over a few years, you hit your limit. After that, you had to pay for 100% of your health care.